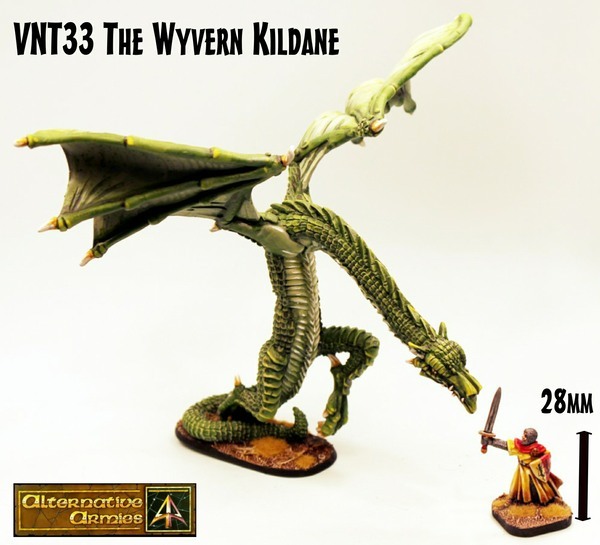 Alternative Armies: VNT33 The Wyvern Kildane huge 28mm Monster released! VNT33 The Wyvern Kildane huge 28mm Monster released! After last time with our preview we are super excited to now release our last code for November 2016 and what a code it is! From Alternative Armies and sculpted by Sam Croes we give you the mighty Wyvern Kildane in 28mm scale. There is a distinct lack of Wyverns for our liking and so we made one. 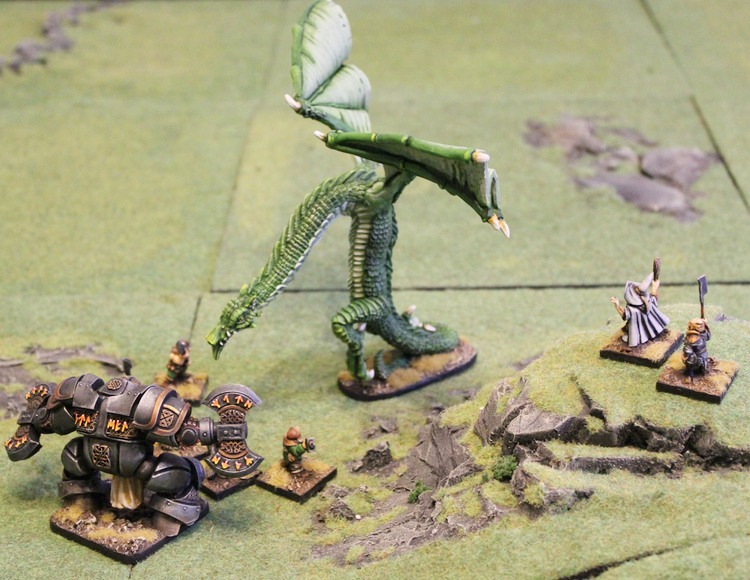 Excellent value and only three resin pieces meaning easy to assemble and durable for wargaming use on the table. 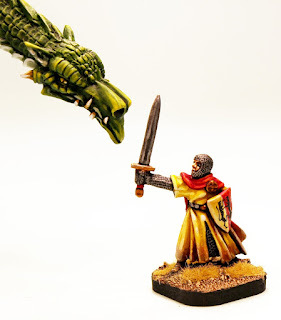 Every Wyvern comes with a free 28mm Human Knight included. Go HERE or read on for more. “Swords drawn and pennants fluttering in the breeze the knights were assembled for battle. They had rode and strode forth that morning their hearts strong for the killing of the beast. The monster that was terrorising the peasants of the kingdom. Their lances and swords would put an end to the tyranny of the creature known as Kildane. Time passed and the sun moved across the sky and just as they thought the day to be without the prize the Wyvern came to them. High up in the air a shadow crossed the glare of the sun making it dark upon the knights. A shadow that was large, far larger than they had expected. As one they looked up....they saw their deaths there in the sky, wings spread and teeth as long as a man's arm. 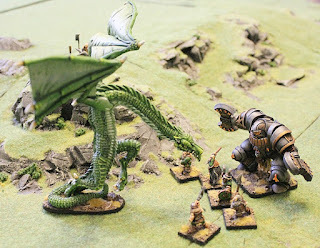 "- The tale of Sir Alfred the legless only survivor of the Wyvern Kildane. 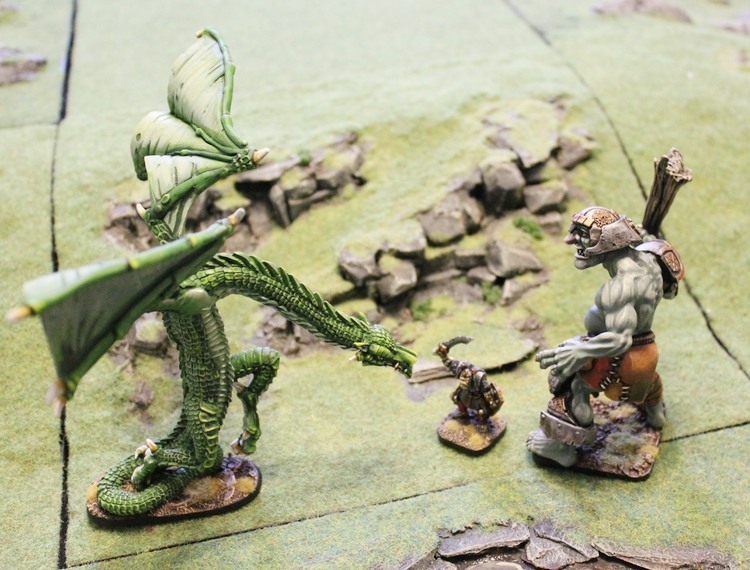 This code, on our our biggest models ever, contains one high quality grey tone resin very large monster kit in 28mm scale. 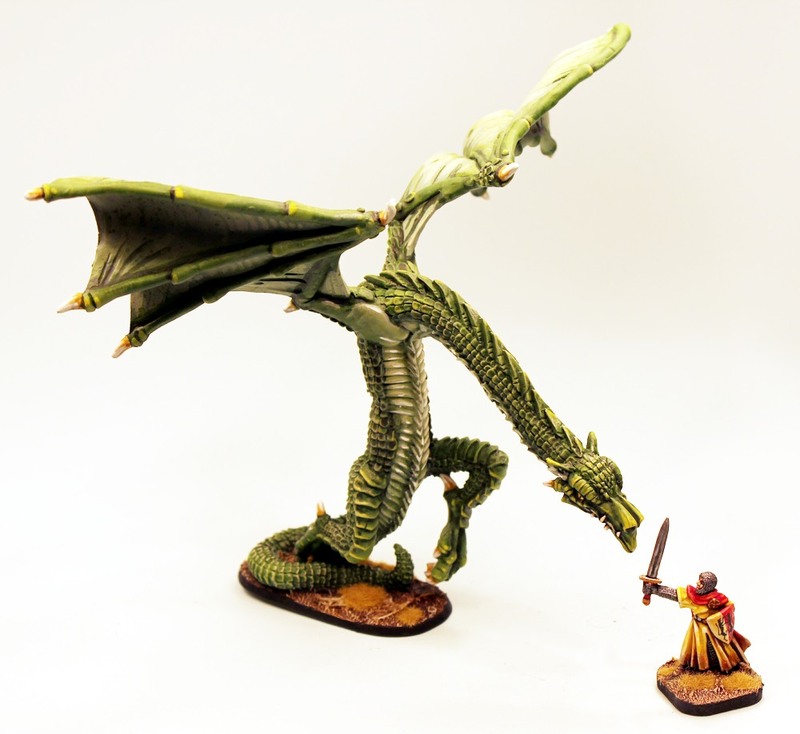 When built this mighty wyvern stands at 160mm tall (to the wing top) with a wingspan of 200mm . Kit supplied is only three parts with an integral base making it super easy to assemble and rugged for wargame use. Also included is a Human Knight with sword worth 2.00GBP for free (from code FL15) in white metal. A great centre piece for your army. 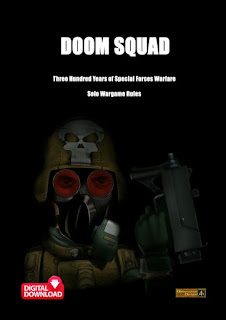 Suitable for any fantasy wargame system. Assembly required and supplied unpainted. You can purchase ONE or THREE kits (each with the free Knight) using the drop down menu; saving 10% if you take three! Go HERE. 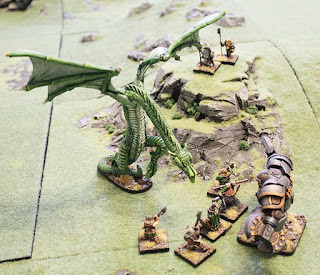 Here are some pictures of this new monster in action! Note the Knight shown with the Wyvern IS supplied. Images show firstly assembled models and secondly close up on the Knight. Followed by 'in game' pictures giving scale against our DH15 Dwarf Runic Golem and DH9 Dwarf Adventurers. Lastly shown is OH31 Durzum Dwarf Killer the Giant Troll. None of these are supplied and shown for illustration only.